With a total three rounds for the Formula Drift Canada Championship, Team Yokohama Tire Canada’s Pat Cyr & his Scion FR-S on Yokohama ADVAN AD08R tires takes the title of “Drifter of the Year” in his most successful season yet. 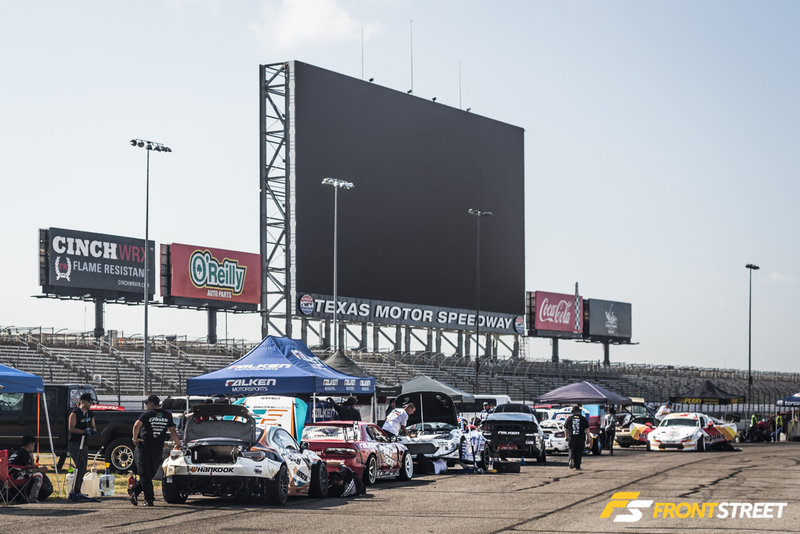 When they say everything is bigger in Texas, they mean it and that includes the epic battles of Formula Drift Round 6: SHOWDOWN in Texas. With all said and done, we are proud to announce that Yokohama Tire’s Masashi Yokoi & his S15 Silvia took the round by surprise. All season long, the rookie has shown much potential he has with aggressive angles, battles, and true Japanese fighting spirit. In Texas he finally rose to the occasion locking in his first ever Formula Drift win! The phrase, “Everything is bigger in Texas” is a fitting description for many aspects of Texan culture. Hosting 9 “One more time” rulings, the Top 16 competition at the 6th round of the Formula Drift championship was no different. After what was perhaps the longest Formula Drift Top 16 on record – a total of nine One More Time calls pushing the battles out to nearly four hours – Masashi Yokoi has taken the top podium spot at Texas Motor Speedway behind the wheel of his 2JZ-powered D-MAX S15 Silvia.